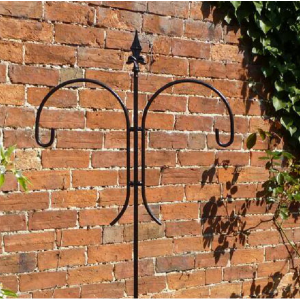 Here at Garden Oasis we are keen to help the UK's wildlife we therefore have a wide selection of wildlife products to attract wildlife to your garden and to help keep wild animals healthy. In our wildlife care section you will find butterfly houses, providing shelter for our resident and visiting butterflies is especially vital as according to the Butterfly Conservation Society the UK's butterfly population has declined by 76% in the last four decades. Not only is this worrying for the butterfly population but also for the whole UK ecosystem as butterflies are important garden pollinators as well as being an important food source for birds. It is also vitally important that we help to encourage birds to our gardens as with harsher winters, helping to provide a food and water source for our garden birds is essential. 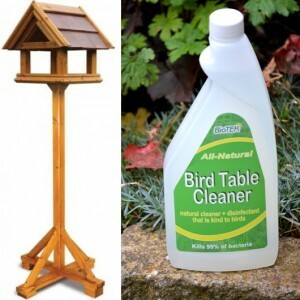 Look no further than the Garden Oasis Wildcare Range for bird feeders, birdbaths and nest boxes, you will find everything you need to help protect our varied UK wildlife. 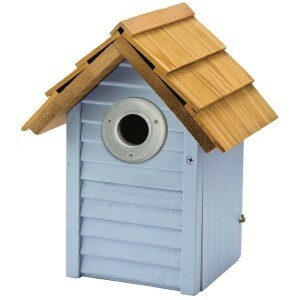 This delightful Beach Hut Nest Box from Gardman is made from FSC certified timber with an attractive.. The Red Squirrel Bird Feeder from Brundle Gardener is a cute garden ornament that is designed to be .. The 4-Way Crook Bird Feeder by Poppy Forge is a gorgeously decorative garden ornament, which is prim.. 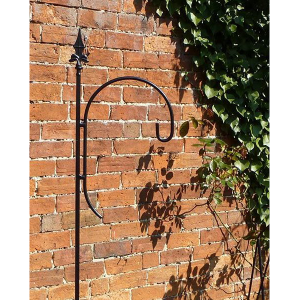 This Acorn Birdbath from Adobe is made from cast iron and finished with rust coloured paint for an a.. 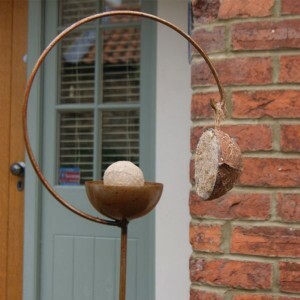 This stunning decorative Ball Bird Feeder by Poppy Forge is such an attractive way to help care for ..
Bird tables can be a breading ground for bacteria that can harm our feathered friends so it is im.. Turn your old plastic bottles into bird feeders helping both the environment and wildlife! The Bottl.. 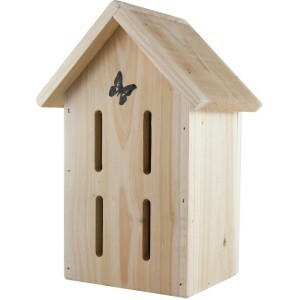 This incredibly simple and attractive wooden enclosure is designed with Butterflies in mind. If you .. 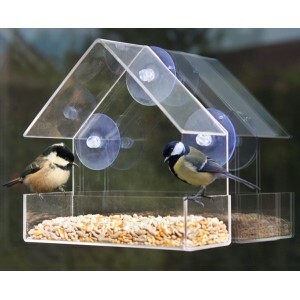 The Deluxe Window Bird Feeder by Greena is designed to provide a feeding station for your feathered .. The Double Crook Bird Feeder by Poppy Forge is a gorgeously decorative garden ornament, which is pri.. The Freya Bird Crook by Poppy Forge is such a striking way to help care for local wildlife by feedin.. This Oxford Birdbath from Adobe is made from cast iron and finished with durable paint which helps t.. The Single Crook Bird Feeder by Poppy Forge is a gorgeously decorative garden ornament, which is pri.. This Teacup Feeder in Polkadot Yellow from Adobe is made from clay and available in this lovely brig..
What better way to enjoy nature than watching wild birds feeding in the comfort of your own garden..